My mom gave me a box of craft supplies that someone else gave to her, and in the large box of supplies there was a small box of buttons. I just tucked the box of buttons into my craft drawer for the longest time and only today did I look through it. 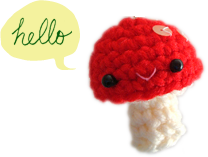 There were these delicious‐looking green and pink buttons just begging to be made into something, but I didn’t know what… and then I went browsing on Pinterest and guess what I found? 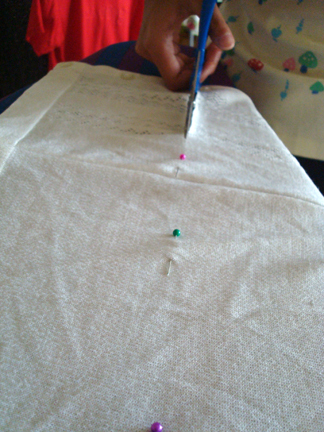 This post on Homemaker’s Journal about making buttoned bobby pins! It’s such a simple idea but it’s absolutely perfect. 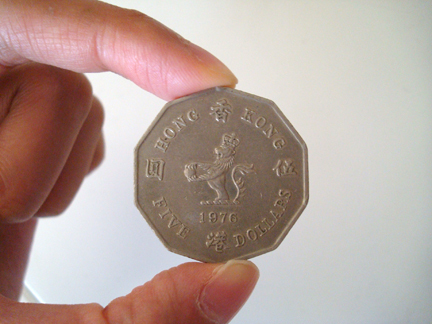 Also in the box of buttons was this antique Hong Kong $5 coin, from 1976! It’s a decagon! 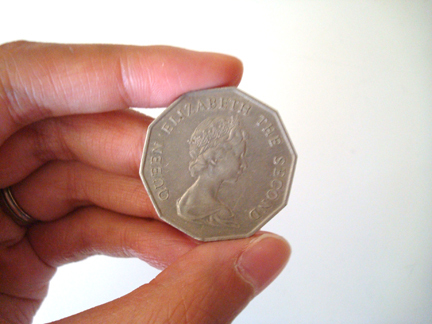 (new word I learned today thanks to Google :D) Nowadays $5 are round, I’ve never seen a 10‐sided $5 coin! And here’s the queen on the flip side, of course. That was in the morning. So then I thought, I must wear one of these pretty button bobby pins out somewhere. I planned to visit the thrift store sometimes this week for some back‐to‐school clothing. I was debating whether I should just take it easy at home or venture out. The bobby pin gave me the motivation to go out (it’s the small things, really). The thrift store was having a one‐day 50% off clothing sale! So with under $20 I got 4 dress shirts and a cardigan. I was really happy with the dress shirts, which aren’t all that exciting but something I need for work‐related occasions (I’ve learned that adding a cardigan doesn’t really make a graphic tee look more professional). 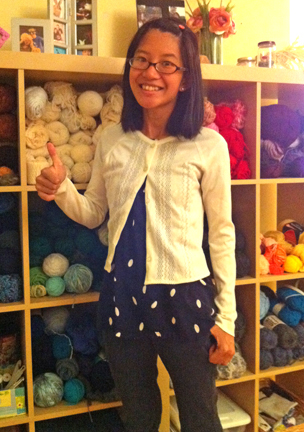 But the cardigan needed some work, because it was too big. (I wish I had taken a “before” photo with me wearing it). 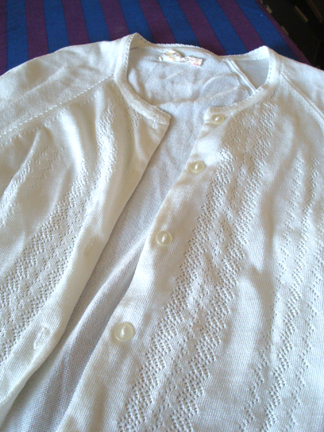 I wanted a neutral colour cardigan for a couple of upcoming weddings, and I do like this one because of its lace pattern and the delicate‐looking collar. It was a size‐large. 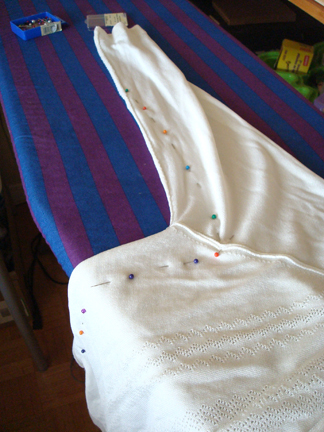 The tag on the cardigan was all bunched up so I had to stretch it out and pin it like a butterfly specimen to take a photo (because the tag says “no ironing”, I think). 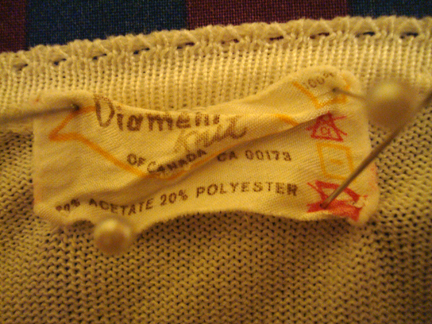 But can you see that it says it’s made of 20% polyester and 80% acetate? Other awesome find today that’s not pictured: tikka masala chips! Mmm curry. I love reading your blog and your posts are so unique! thank you so much for visiting, Brenda! and for the link! i do notice that the sweater has a nice drape to it! Hi Trish! Great job with the sweater! I’ve also seen sweaters sewn, stuffed and made into cushions! So if all else fails.…. haha sweaters turn cushions are cute! thank you for visiting!